Many high schools and colleges use the Myers Briggs Type Indicator or MBTI to help students in career exploration and career choices. CPP, Inc, the developer and publisher of the MBTI recently posted an article entitled Just What Is the Myers Briggs Assessment Good For? that makes it very clear this is not appropriate and needs to stop. So if it doesn’t predict performance or cultural fit, should high schools and college career centers use it to help students choose a career or choose a major that is a “good fit”? Can a school be held liable for misuse of the MBTI as a career guidance tool for students? Students certainly need development. Schools and colleges have limited financial resources for things like assessments. In an attempt to stretch the investment value, counselors have tried to use one tool for many uses. CPP is stating this is not their desire. Yet, there are assessment tools that are certified for use by employers for hiring and selection that are excellent for development as well. And those same assessments are used for career counseling and career exploration. In other words, what schools want and need exists but first, the counselors must let go of the MBTI. Posted on the social media site VOX, Why the Myers-Briggs test is totally meaningless is an excellent article among many. You’ll also find there are many academic articles about the questionable validity and reliability of the Myers-Briggs personality assessment. Watch the video: Why the Myers-Briggs Test is Totally Meaningless. 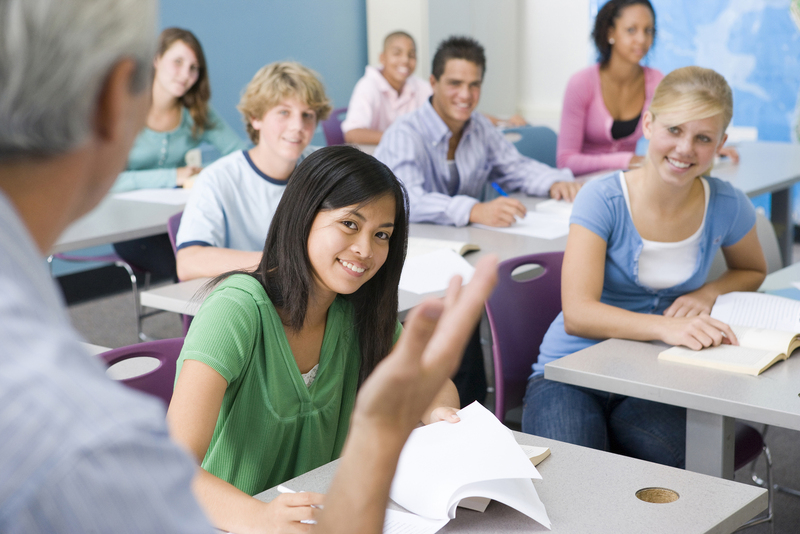 The Career Coaching for Students program uses two assessments for high school students that does an excellent job of helping the student narrow the world of opportunity into a more manageable and relate-able short list of career options in a way that engages the student while developing the student at the same time. The Career Coaching for Students program helps the student from a personal development standpoint, much like the MBTI narrowly does. Parent company, The Nielson Group, uses the same assessment tools with large and small employer clients specifically for hiring and selection (job-candidate matching), adult career coaching, leadership development and team development. All of these assessments adhere to an 8th grade reading level standard. The particular assessments used for high school students in the Career Coaching for Students program is both comprehensive for development and provides an easy-to-follow proprietary method for connecting career options to personal talent (job fit analysis). IS IT COST-EFFECTIVE COMPARED TO THE MBTI? This ability to bundle solutions for different constituencies allows Success Discoveries to price all of these services very cost-effectively. Can Our In-House Staff Easily Learn How to Use a Different Assessment? The Career Coaching for Students program offers a train-the-trainer and certification program. Administering the student programs in-house with your own staff is very doable. Staff will likely enjoy this and receive much greater positive feedback from students (and parents). So, if your school is using the MBTI with students, you need to realize it can only be as a personal development tool – not as a career counseling and career selection guidance tool. As with many clients that have gone through the Career Coaching for Students program have stated to me, your student may be frustrated and feel like they are at fault when actually the wrong tool has been applied to the right focus. Families can purchase the self-directed version of Career Coaching for Students which includes the career guidance binder, Student Resource Central and a personal one-on-one debriefing of the assessments (using telephony webinar tools or Skype). Career Coaching for Students has been enjoyed in most of the United States including Alaska, across Canada and China. The assessments are able to be administered in 42 languages. Carl Nielson is Chief Discovery Officer of Success Discoveries and Managing Principal of The Nielson Group, an organizational development consulting firm serving Fortune 100 company clients. As creator and master trainer of the Career Coaching for Students program for high school students and Career and Success Skills Mastery for College Students and Recent Grads, Carl and his team of licensed facilitators across North America have helped thousands of students find a better way through a career exploration process that works. Self-directed assessment and career exploration coaching packages start at $399. Local public workshops, distance-coaching and in-school programs available. Call for more information at . Is it time to revamp career guidance in schools? As a corporate management and organizational development consultant with over 25 years of hiring, firing, training, coaching and development, I find a mixed population when it comes to people with clear, passionate career direction and those without that clarity and passion. My observations and various academic, corporate and government surveys suggest more people fall into the latter category. Yet those in positions of authority within the secondary and higher education career guidance field seem satisfied with the status quo. What has changed over the past 30+ years in career counseling in most schools can be summed up in three letters: WWW. Schools are now offering students an online portal to career information. Most of these programs offer personality assessments that point the student to Holland codes. So if that is an appropriate assessment for students, how many employers use Holland code type assessments to match people to jobs? My informal scan came up with zero. Why revamp career guidance in schools? I’ve listed some reasons (goals and rewards) that support an effort to revamp career guidance in schools. Career guidance starts with bringing self-awareness to the student. This is minimized by schools, or, if attempted, counselors use personality assessments with relatively low validity and reliability. The typical public school administrator thinks they do not have the budget to consider highly reliable, valid assessments and properly conduct counseling or coaching with each student. As one administrator explained, “we need to leave something for the parents to do”. Colleges and universities are found to have very few resources as well. Many continue to use the Myers Briggs Type Indicator as the tool of choice for expanding students’ self-awareness. With solid self-awareness, a valid connection needs to be made to career possibilities. Most students get off the train at this point. They didn’t find the “personality assessments” valid (face validity is critical) and found the career suggestions from the assessment report made no sense. The reality is that making the talent-to-career connection requires the help of a professional career coach or a well-developed career coaching program that guides the student through the process. From initial investigative research to in-depth career analysis, the ability to research careers has been improved drastically thanks to the Internet. However, left on their own, students find the Internet is a rather large, disorganized information bank that has the potential to get the researcher distracted or totally lost and confused. Students don’t need a Google list of Internet resources or school marketing website disguised as a career guidance site. Internet resources need to be found, evaluated, vetted and categorized in a way that allows the student to stay focused with their research and avoid chasing links to questionable or low-value content. Career research can’t be defined by Internet resources. At some point, the student must meet people in careers of interest, interview these people, go on job shadowing ventures and get internships working for companies that employ people in his career of interest. There are several other strategies students can take to learn and identify career choices. Most students don’t complete any of these steps. A very few might do some of this. Researching ideal careers is half the battle. Today’s students lack skills such as decision-making. Life skills that are learned early support students as they go to college or enter the work world. Life skills are just that, skills learned by experiencing life. However, our culture has changed significantly in the past 30 years. Students do not live in an environment that enables them to develop these life skills the way kids did 50 or 100 years ago. Yet school administrators and parents seem unaware of programs they can use to introduce students to key skills required for success. What are the key skills found in highly successful people? Here is a short list of 18 skills. Which of these aren’t needed to be highly successful? What are the chances the typical high school student is being developed in these skill areas? I think it is time to revamp career guidance in schools? Please leave your thoughts in the comment box. Carl Nielson is the developer of Career Coaching for Students™, the premier career exploration program for high school and college students. Nielson is the founder of Success Discoveries (www.successdiscoveries.com) and The Nielson Group (www.nielsongroup.com), an international corporate organizational management consulting firm. Prior to consulting, he served over 20 years in corporate human resources management. He holds a degree in organizational psychology from Texas A&M University. Find Carl on LinkedIn. Carl speaks to groups on request and offers parent webinars and seminars for communities. If you are looking for true career guidance for a student, check out http://www.careercoachingforstudents.net. Are you past the high school and college years? Check out resources and services at Success Discoveries. Professional career coaching services offered.